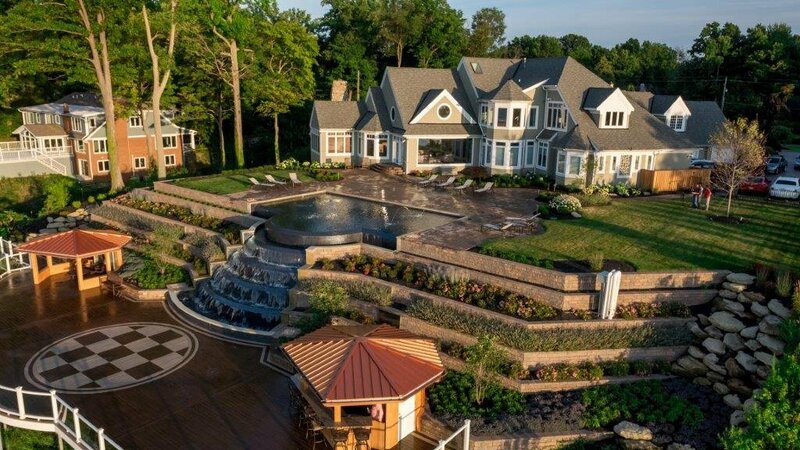 Cleveland Landscaping Hydrangea Pruning Tips: Every year I get asked the same questions about hydrangeas. When is the right time to prune? Often this question comes when the hydrangea has gotten huge and unruly. Unfortunately, this is usually not the right time to prune. To properly answer the question we must first find out which type of hydrangea you have. With most other plants the answer to the question is simple. You prune after the plant flowers. So with spring bloomers such as forsythia and lilac you prune in the spring following the flowering. You do this because the buds for the following season are set during the summer and pruning them too late will mean little or no flowers in the spring. With summer bloomers such as rose of Sharon you would prune at the end of the summer or beginning of fall when they finish flowering. This isn’t as easy of an answer with hydrangeas. How do I identify my hydrangea? There are many kinds of hydrangeas. Some bloom on old wood and some on new. This is why it’s so important to know which kind you have. If pruned at the wrong time, you could be removing all the buds. There are four species of hydrangea that are the most common, not including the climbing hydrangea "Hydrangea anomala petiolaris". 1. 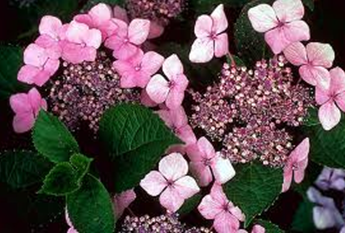 Hydrangea Macrophylla- This group includes the mopheads and lacecaps. 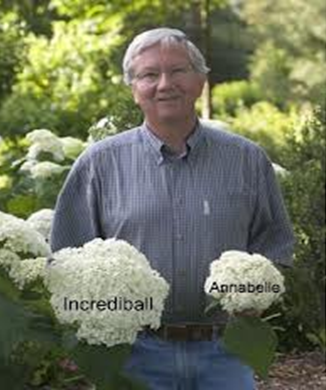 They are also sometimes referred to as the big leaf hydrangeas. In general, the leaves of these are relatively thick and crisp, somewhat shiny, and heart-shaped. Their edges are serrated. The leaf stems (petioles) are short, causing the leaves to hug close to the main stem. Both mopheads and lacecaps have identical leaf forms. This is also the group in which the soil pH affects the flower color (acid = blue, alkaline = pink). 2. 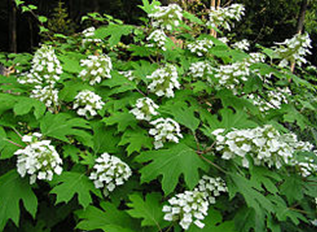 Hydrangea Quercifolia- This is the oakleaf hydrangea. Probably the easiest to identify because of its oak leaf shaped leaf. It also has brown/tan colored exfoliating bark which can help to distinguish between other types, especially when you don’t have leaves present. The flowers are long and conical shaped; often starting out creamy white and aging to pink through the summer and early fall. 3. 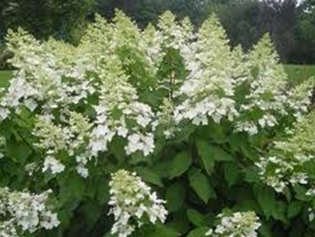 Hydrangea Paniculata- The paniculata hydrangeas are often referred to as PeeGee hydrangeas. This is actually just one variety within the species. Other popular varieties are ‘limelight’ and ‘tardiva’. These hydrangeas can be identified by their panicle shaped flower which is somewhat similar to that of the oakleaf hydrangea. Where the oakleaf hydrangea flower starts out a creamy white, most paniculatas start out a true white and age to pink or red. The ‘limelight’ and ‘phantom’ start out a greenish white and age to pink. The panicle hydrangea is also the only hydrangea to come in a tree form. Where the Macrophylla tend to be mound-like in habit, the paniculata is usually more like a multi-stemmed shrub and can reach as high as 15 feet. Although more commonly will reach 8 feet without pruning. 4. Hydrangea arborescens- This is the group that is sometimes referred to as the smooth leaved hydrangeas. 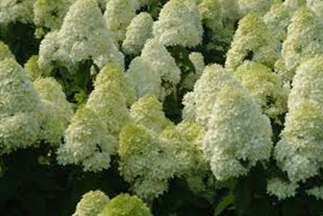 The most well-known variety of the arborescens hydrangea is the ‘Annabelle’ which has large flowers which open green, turn white and return to green again. Within the past few years ‘Invincible Spirit’ and ‘Incrediball’ have also gained popularity. Arborescens hydrangeas can be identified by their heart-shaped leaf which is thin and floppier than the Macrophylla. They have a matte surface and a courser texture than the smooth leaf of the mophead. The leaf stems are long and held away from the main stem. Many varieties within this group are top heavy and fall over after wind and rain storms. When do I prune now that I know what kind I have? Macrophylla – Late summer. With the exception of the ever-bloomers like ‘Endless Summer’, macrophylla’s bloom on old wood. 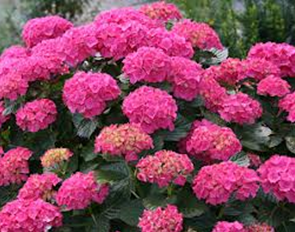 Buds are set in late summer to early fall so for best results cut back the plant when the blooms are spent. Early spring pruning, although acceptable, will result in sacrificing of some flowers for that season. ‘Endless Summer’ and other ever-bloomers can be pruned at any time of the year. In the fall they can be cut back to control the height and size. Then in the spring, cutting back some of the new before blooming begins will actually encourage new growth and increase the number of flower clusters. Remove the spent flowers regularly to keep them coming. Dead can should be removed at any time of the year. Quercifolia – Late summer-early fall. Oakleaf hydrangeas bloom on old wood and their buds are set in early in the fall. They should be pruned immediately after blooms are spent. Paniculata – Can be pruned in the fall, winter, or spring. Although it’s not necessary to prune every year, paniculatas can quickly get out of hand if not maintained. These hydrangeas bloom on new wood so they can be pruned severely if needed and still flower. Arborescens – These bloom on new wood and so can be trimmed in the fall, winter, or spring. Often people will cut them back in the fall similar to a perennial. This is ok but can result in thinner weaker stems which fall over easier. 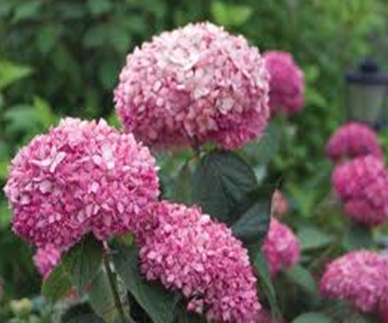 If left up until spring, and then thinned out and lightly trimmed, you end up with a stronger stemmed plant.